« Bike Racks for Downtown Laramie! This piece premiered at the 2013 Western Design Conference. It is based on the traditional secretary desk design, with modern touches: copper panels with a custom patina, hand carved antler pulls, and of course a cord chase inside to enable plugging in all of our numerous electrical devices while hiding the wires. In keeping with the traditional design, there are two hidden compartments in the gallery to hide spare cash (or love letters). 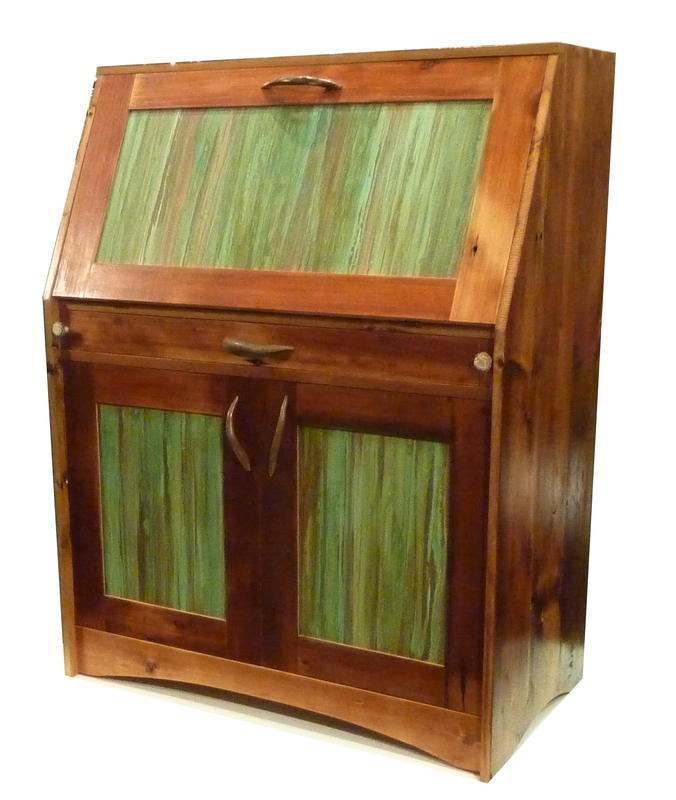 Reclaimed lumber, all solid wood construction; 48″ x 20″ x 52″. 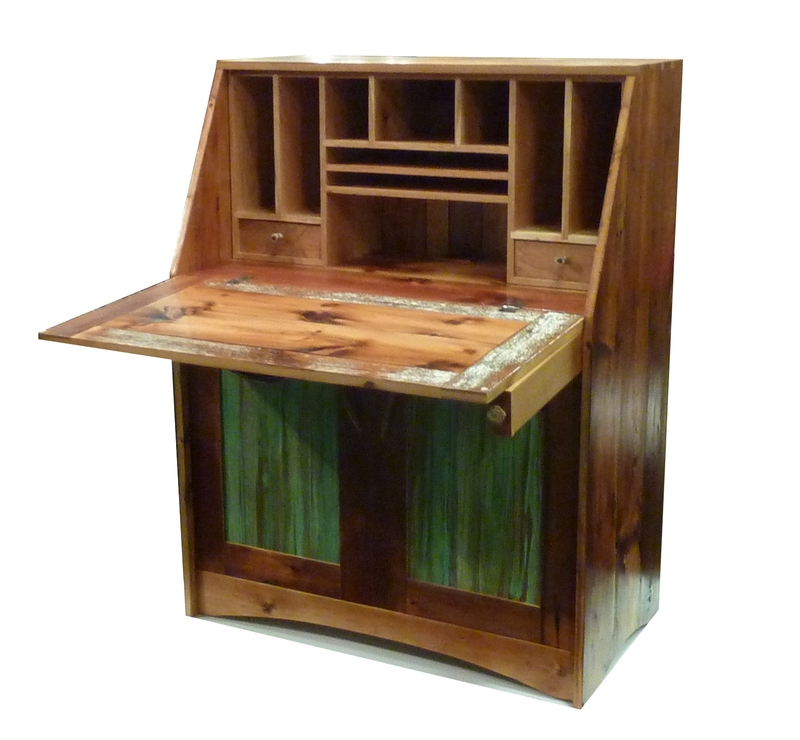 “Sagebrush Station” with the desk top open. I carved the pulls and handles for this piece out of antlers. 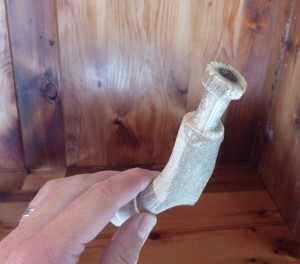 This image shows how to get a small drawer pull out of an antler. It was a great show with a lot of inspiring work! And as always, I really enjoyed seeing the other artists and their fabulous creations, meeting the many folks involved in supporting it and attending the show. Thanks WDC!